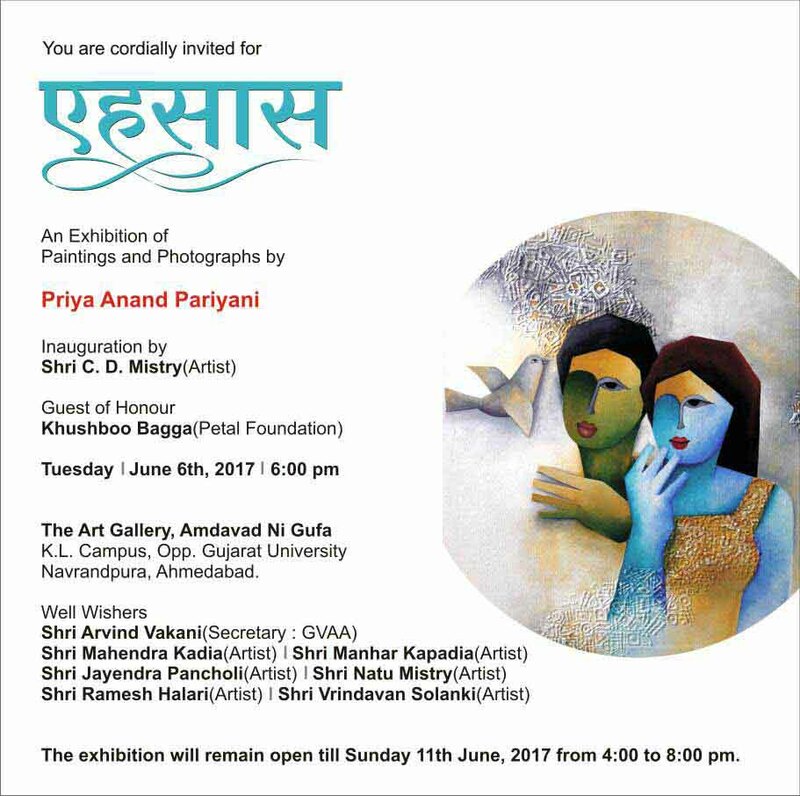 एहसास painting and photography exhibition by Priya Anand Pariyani at The Art Gallery, Amdavad ni Gufa. Inauguration by noted artist Shri C.D. Mistry.